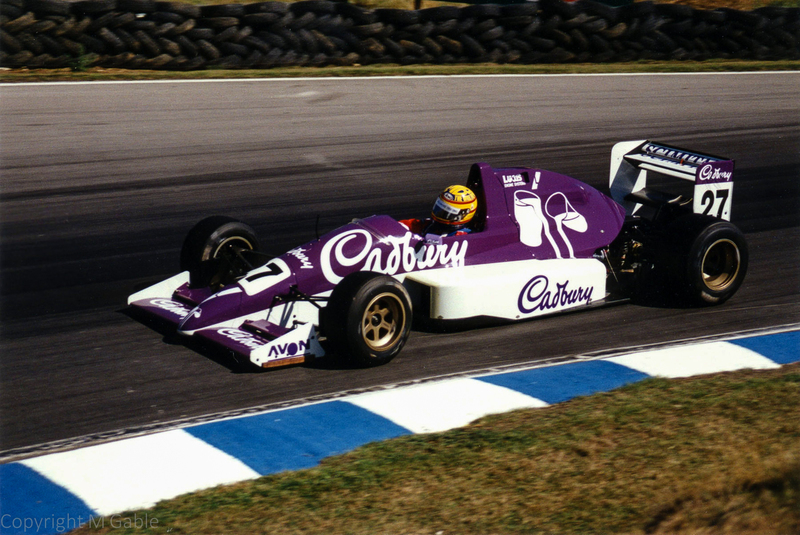 International F3000 Championship 1989, Brands Hatch: Mark Blundell - Reynard 89D - Middlebridge. Retired. At the entry to Graham Hill bend by the looks of it.